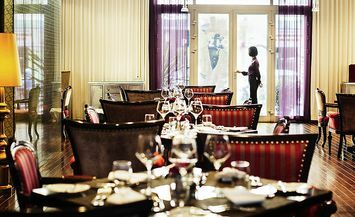 Café Lautrec, Hotel de l’Opera’s Brasserie-style restaurant features both, a la carte and buffet dining throughout the day. Named after the renowned French 19th century painter Henri de Toulouse-Lautrec and marked with Mr. Lautrec’ signature, Café Lautrec is an exotic venue for people to enjoy Mediterranean style dishes in the theatrically operatic inspired ambience in the city heart of Trang Tien Boulevard. 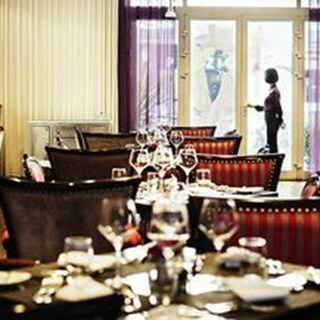 As a member of the MGallery collection, Hotel de l’Opera Hanoi’ Café Lautrec brings a unique 21st century French touch to the Hanoi dining scene. 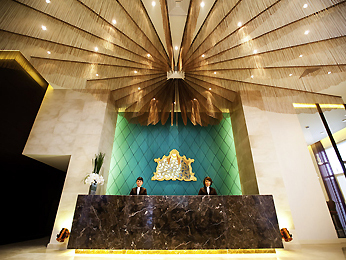 Hotel staffs were efficient and courteous. The restaurant staffs were poor in service quality compared to MGallery in HCMC. The body language while serving is more like what u would expect from a local restaurant. When i asked the supervisor why coffee was not included in the lunch buffet like other Accor or MGallery hotels he said "I dont know, i guess it is upto the manager". Not very international standard! I would not recommend here for lunch buffet for sure.